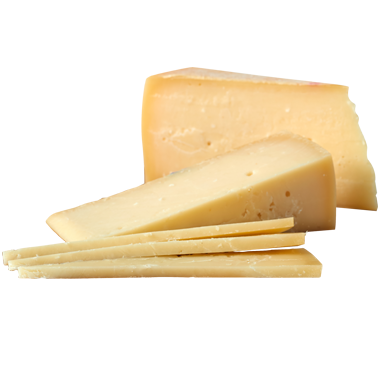 Cupola is an award-winning, semi-hard cheese handcrafted for Red Barn Family Farms. Cupola gets its name from the small wooden pinnacles that top, traditional Wisconsin barns. We like to think of this high-quality, small batch, artisan cheese as a thing of simple, pastoral beauty, just like its namesake. Red Barn is known for its strong relationships with neighboring family farms, and you can taste that community appreciation in Cupola. There’s no fancy footwork required for Cupola: Slice it, grate it and enjoy it. It’s fantastic on its own and it melts well when thinly sliced or grated. Cupola likes a bit of spice and heft to counter its slight sweetness, so we typically enjoy it with medium-to-full-bodied drinks. If we’re popping a cork, we’ll pour everything from malbec, merlot and syrah to chardonnay and riesling. For beer, we prefer amber and Belgian ales, brown ale, fruit beers, sour ales and saison. Brandy and port also sips well with Cupola, rum too if you’re so inclined. Cupola has a parmesan-meets-gouda feel to it. Try it finely grated or thinly sliced over special pasta dishes like gnocchi, ravioli and orzo. It stands up well to a big meaty sauce like bolognese or braised beef, and also partners well with grilled vegetables. Serve them on a platter, drizzle them with olive oil and top them with thin slivers of nutty Cupola. If you’re serving Cupola on a cheese board, we recommend including a thick-cut salami, a sweet pepper jelly and some rustic crackers.